"/> From today 09/03/2015 SPECIAL OFFER UNTIL 31ST MARCH incl. Situated approx. 600meters ( 15 minutes walk) from the historical center of Castellina in Chianti, Siena, Tuscany, near Florence, and from the Hotel Squarcialupi, in a perfect panoramic position, you will find La Castellina, Farmhouse Agriturismo La Ferrozzola, offering comfortable apartments in rustic style, finely restored. Our Clients can admire the wonderful Chianti countryside while relaxing in their garden, surrounded by the winery’s vineyards. 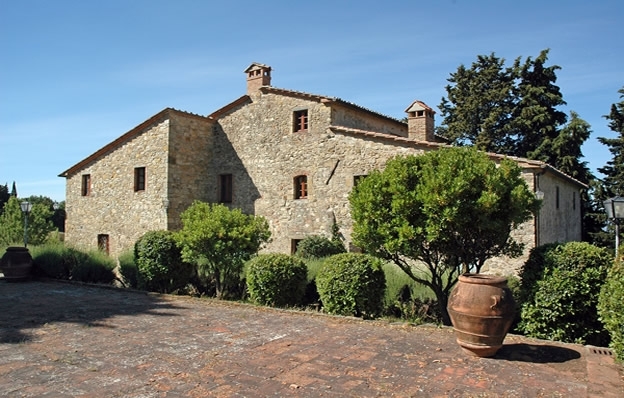 The farm La Castellina draws its origins from the past properties of the noble Suarcialupi family, which extended around the medieval borough of Castellina-in-Chianti. Today, the farm belongs to the Bojola-Targioni family who, with great passion, have given a new incentive to the property, introducing modern equipment and new techniques, respecting the Chianti wine-growing traditions. 30 of the 140 hectares belonging to the farm are now specialized vineyards, registered at the Chianti Classico Board and 10 hectares are olive-groves. The head office of the winery has its seat at "Palazzo Squarcialupi" (XV century) with its Wine-ageing cellars and Direct sales shop. The upper floors, which formely were the Squarcialupi family residence, have been finely reconstructed and transformed into an elegant hotel.